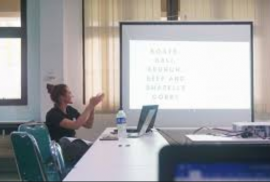 SEA-Chat or Southeast Asian Chat is a monthly agenda that invites students to discuss one of the countries in Southeast Asia directly with students from that country. This is expected to be able to provide a real picture of the state of the country, share information, and be a way to understand each other. SEA Chat is packaged in casual talk about countries in Southeast Asia and social, political, economic and cultural issues in each country. The participants are students or young people who are interested in Southeast Asian issues. SEA Chat usually starts with general questions about a country then students from that country answer the questions asked from the local perspective. 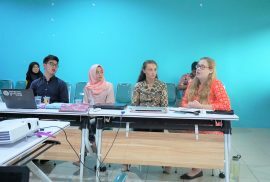 This program brings together students from Southeast Asia who are visiting or studying in Indonesia and also a means to understand each other between students and young people from Southeast Asian countries. CESASS has held a SEA-Chat Understanding Thailand event. 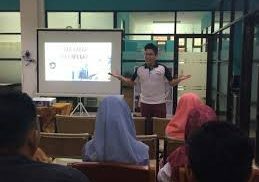 On this occasion Aekachai Mike Ounupatau as a speaker and Thai student who was studying Indonesian in Yogyakarta, said that not only films, culinary and language are interesting to learn from Thailand, but their culture, Thai daily life, and stunning tourist attractions others. 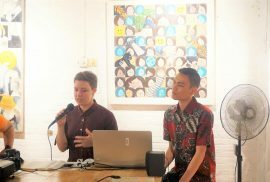 In February 2017, SEA Chat raised Vietnam's culture and language as material for discussion and in collaboration with a group of Vietnamese students studying in Yogyakarta city . In Understanding Vietnam, Phan Truc Quynh, a student from Vietnam provided an overview of Vietnamese culture and language. This discussion aims to improve good understanding of Vietnam and strengthen friendship between youth from both countries. [SEA Chat #7] How Is Singapore?